Other Food: daily devos: Would you say "Imitate me"? A few weeks ago in a church Bible study I’m part of, the topic of mentorship came up. Paul’s description here sounds a lot like that: “And you became followers of us” - 1 Thessalonians 1:6. [Mentor: (Noun) 1] A wise and trusted counselor; 2] an influential sponsor or supporter. (Verb) To advise or train. Paul to the church in Corinth: “Imitate me” and listen to Timothy who “will remind you of my ways” - 1 Corinthians 4:16. Paul to the church in Philippi: Copy everything about me: “The things which you learned and received and heard and saw in me, these do” - Philippians 4:9. Paul in a later letter to the Church in Thessalonica: Imitate me in the way you work for a living - 2 Thessalonians 3:9. The writer of Hebrews also encourages his readers to be enterprising and diligent - Hebrews 6:12. Hebrews urges, as well, that readers imitate and submit to leaders - Hebrews 13:7,17. But mentorship is not meant to be a dead end that stops with the person being mentored. I love how Paul proposes it continue. “And you became followers of us and the Lord…so that you became examples to all…” 1 Thessalonians 1:6,7 - emphasis added. 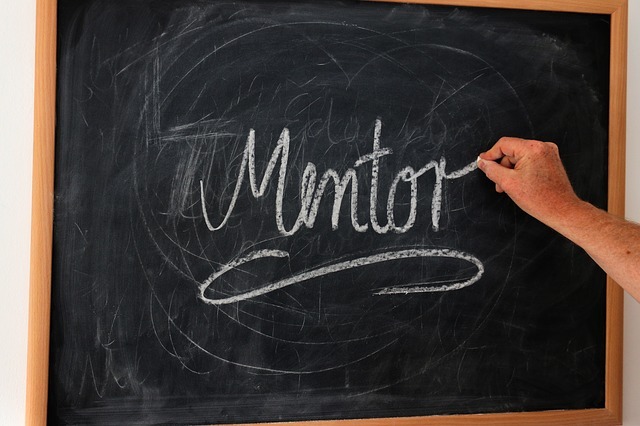 The goal of mentorship is to produce more mentors. There’s a place for everyone. 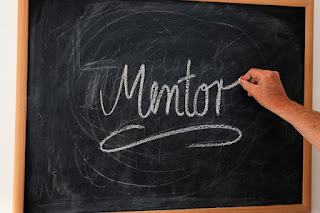 Are we being mentored—by a person or by books (in a class discussion answering the question, “Who have been your mentors?” a large number of us named books and their authors as significant mentors)? Are we, in turn, becoming mentors, to our children and those newer in the faith? Let’s keep the mentor chain growing! PRAYER: Dear Father, thank You for the life of Jesus in the Bible, and for flesh-and-blood and book teachers and mentors to learn from and imitate. Help me to live in such a way that I could say to anyone, “Imitate me.” Amen.